Tourist Camp known as Northumbrian Resort in the Heart of Fishing and Hunting Country! 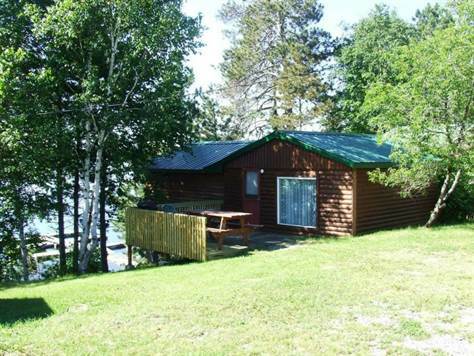 Located just minutes from down town Sioux Lookout on Abram Lake with access to Pelican, Minnitaki, and Lac Seul. There are 7 Fully Furnished Cabins, Lake Front Gazebo, Fish Cleaning Shack & Pump House, Laundry Bldg with 3 PC Bath, Office Building, a Double Wide Mobile Home and 4 Camp sites on 2.53 Acres. List of Chattels Available. There are 2 Bear Management Areas and 5 Boat Caches subject to MNR Approval.